Featured Orchestra Member: Claire Jolivet! 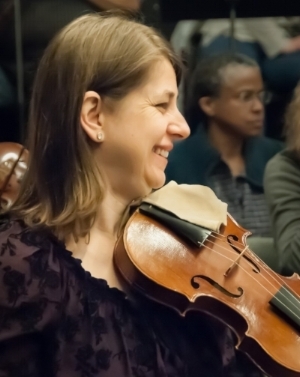 Claire (pictured on the left) has been concertmaster of Opera Lafayette's orchestra since Ryan Brown put down his violin to conduct from the podium for the company's production of Gluck's Orphee et Euridice in 2002. Opera Lafayette was founded in 1995 as the Violins of Lafayette. From those first chamber performances at The Corcoran Gallery of Art’s Salon Doré, the ensemble grew and developed into an orchestra which has remained at the heart of the organization, receiving international praise for both its recordings and for its performances in Washington, New York, and at the Opéra Royal in Versailles, France. Many of the musicians have played with Opera Lafayette and in chamber ensembles together for over twenty years, fostering a shared musical community focused on artistic excellence. The orchestra plays on period instruments; that is, old instruments or modern replicas which would have been familiar to the composers whose music Opera Lafayette performs. String instruments are strung with uncovered gut and under less tension than their modern counterparts. Wind and brass instruments have fewer keys or are valveless, which colors their sound differently from their modern counterparts. The instruments played may be different for 17th, 18th, or 19th century repertoire, and singly and together are used as tools to explore the composers' characteristic sound worlds or expressive purposes. Pitch varies for different repertoire, and both the colors of the instruments and and the pitch provide an experience for singers which offers them an opportunity to explore different vocal approaches than they might have with a modern instrument orchestra. 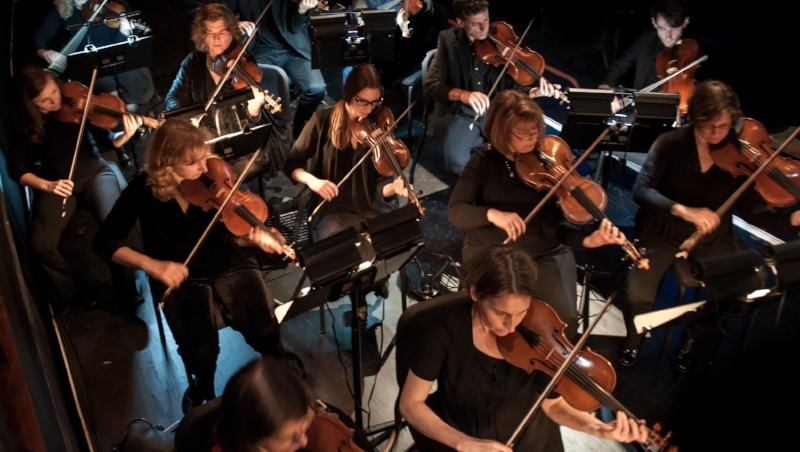 Opera Lafayette's orchestral musicians come from various cities on the Eastern seaboard, university towns in the South and Midwest, and occasionally from the west, Canada, and Europe. They are generally 'free-lancers' who perform with many distinguished groups around the country, teach, and have made a specialty of performing on early instruments. Selected members of the ensemble will often meet in New York or Washington to rehearse repertoire with the conductor, each other, or the singers in advance of orchestral rehearsals, and the full orchestra comes together to work in Washington before each set of performances in D.C. and New York.